Our entire team is glad you’re here. We hope that you find our practice to be inviting, high energy and a positive place to receive your health and wellness care with our Goleta and Santa Barbara chiropractor Dr. O’Hara. At your first visit, we’ll begin with a phone consultation to help get to know what has brought you in and what you’re hoping to get out of your care. 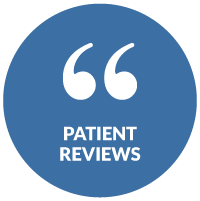 Dr. O’Hara is big on patient education, so we always encourage you to ask us any questions that you have. Next, we’ll begin your exam which will involve Dr. O’Hara feeling your spine. For most patients, we’ll recommend X-rays. Unless you’re in a great deal of pain, we like to have ample time to review your case and craft the perfect care plan for you, so your adjustment won’t take place until your next visit. Please allow between 45 – 75 minutes for your first visit. On your second visit, Dr. O’Hara will review what’s causing pain or inflammation in your body—she’ll even show you where your nerve interference is taking place. If you have questions about what your care will entail after she reviews it with you, don’t hesitate to ask us. We want you to be as comfortable as possible with your care. If you’re ready to begin care, we’ll perform your first gentle adjustment at this time. Please allow about 45 minutes for your second appointment. Regular visits after this will only take 20 minutes. During your care, we’ll monitor your progress to make sure your body is improving. Patients often find that they experience far more positive results than they expected to! We’d like the opportunity to help you experience your true health potential. Contact our practice today to get started!